Why Should You Buy Your Engagement Ring On Brilliant Earth In A Brief? Brilliant Earth is one of the first reliable online diamond sellers that has been steady in the business for more than a decade. No Mining Footprint: Your diamond is manufactured in a laboratory; the mining is conflict-free and ecologically harmless in its manufacturing processes. Brilliant Installments, Delivery, Shipping & Packaging: U.S based citizens can avail interest-free installments. It is dual-way free of cost Fed-Ex shipping costs and delivery for Brilliant Earth customers. Unique make and reliability: Uniquely crafted cuts and designs in the lab makes Brilliant Earth diamonds a personal treasure from the first sight! Lifetime Guarantee: There are two types of guarantees covered for Brilliant Earth diamond consumers: Lifetime upgrades on all diamonds purchased and Lifetime cover on all manufacturing defects. Memorable Packaging: Brilliant Earth Diamonds are packed in handcrafted boxes of wooden make from New Zealand, which has a scent of its own, awaiting the owner! Diamond Report: All Brilliant Earth diamonds are delivered with a GIA Grading Report, ASET and Idealscope Images of the diamond. 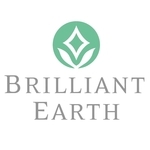 Brilliant Earth is a private online jewelry seller, founded in August 2005 and headquartered in California, U.S.A. Eric Grossberg, Beth Gerstein and co-CEO’s, founded the firm and are yet the owners and managers! How Brilliant Earth Goes Beyond The Kimberley Process Standard? The Kimberley Process Certification is an international method which Brilliant Earth is a part of, by helping to avoid the trade in conflict diamonds: “rough diamonds used by rebel movements or their allies to finance armed conflicts aimed at undermining legitimate governments.” The Kimberley Process is made of countries, advocacy organizations and the diamond industry. The Kimberley Process makes sure that its members do not produce conflict diamonds. They must trade diamonds only with each other. They must also attach Kimberley Process certificates to their exports. As an outcome, by buying from Brilliant Earth, you will receive your own Kimberly Process certificate! Why Shouldn’t You Buy Your Engagement Ring On Brilliant Earth In 106 Words? Most diamonds today are free of conflict (oddly 99%) such that the purchase of a conflicted diamond will be a tough time. Thanks to the laws in practice, most diamonds don’t have to enter conflicts owing to the laws and customs regulations. Laboratory made diamonds are conflict free diamonds. Earlier, Brilliant Earth did not provide any clips/ Images of the diamond but merely displayed a basic illustration of the diamond’s structure. This was a major con of Brilliant Earth, however, lately, it has been efficiently resolved. Now, Brilliant Earth provides ASET enhanced clips and images alongside a distinct report on the eye cleanliness and clarity of the diamond. As all Brilliant Earth diamonds are manufactured with ecologically sound fundamentals, they are unique and breath-taking in its impressions and use. Brilliant Earth provides limitless troubleshooting and assistance programs to aid the customer to choose the perfect diamond. With flawless and generous lifetime guarantees that cover the manufacturing defects as well as trade-up options, these synthetic diamonds are truly a treasure to own. Furthermore, Brilliant Earth diamonds are specially packed in handcrafted wooden boxes that scent fresh of New Zealand as it also has a seal of trust from Brilliant Earth. Apart from all these amazing features, the GIA report that lists the center stone of purchase is an added merit to the diamond buyer. It constitutes GIA Diamond Dossier, Grading Results, and Additional Grading Information. We encountered some complaints registered by verified purchases that claimed delayed delivery and delayed troubleshooting. However, it has been highlighting that the complaints were closed down with a due response from Brilliant Earth that resolved and exceeded the expectations of the same customer! What’s the News about Brilliant Earth Engagement Rings in 2018? Pantone Color Purple is the Color of the Year for 2018 and Brilliant Earth seems to have embraced it inside-out! From purple sapphires surrounded by tiny and big diamonds to hooped purple earrings made of amethyst, BE is going budget-friendly in 2018. It’s not been a week since Brilliant Earth also posted an article on the vitality of lab created diamonds. They say lab created diamonds are higher on clarity, ethical sourcing and value as well. Too much coincidence? We think not! We love the aspect of valuing other stones just as diamonds and support BE on this endeavor. What do you think? Share in the comments below! Is Brilliant Earth A Fraud? No Brilliant Earth is not a fraud, as examined by our expert staff, Brilliant Earth is a reliable online diamond seller with legitimate certifications, diplomatic customer care, and diverse showpieces. It is the one-stop-shop for a wedding jewelry shopping, and when you buy from Brilliant Earth, you can be ensured that your entrusted bond will be immortal. The website has a friendly interface full of quality photos, informative content and ASET images elaborating the efficiency of Brilliant Earth diamonds. All customers recorded the product as hassle-free for everyday wear and long-term usage. Customers relate to the product as ‘a perfect symbol of our wedding’ and ideal. One can also customize and tailor a Brilliant Earth diamond ring that suits to the one’s artistic and visual tastes, perfectly! The Live Chat feature on BRILLIANT Earth’s Homepage is sturdy and effortless. After placing a request for Sapphire diamonds, we received a response from Brilliant Earth in under 2 Hours. They provided complete shopping support incisive of expert advice and calculations to choose the diamond that suits best! Brilliant Earth provides interest-free installments for customers in the U.S.A. They offer incredible financing plans of paying with multiple credit cards and ensure two Fed Ex Eco-friendly shipping options, both of which are free for customers in Australia, Canada, and U.S.A. Brilliant Earth offers free shipping and 30-Day Free Return on specific orders and re-sizing for the rings in its contract. This is by far the fairest deal because online customers often find fitting issues with their virtual purchases. must say that the customer care is perfect, i had some concerns but they managed to make me calm. DO NOT BUY FROM THIS SITE. I agreed to purchase a diamond only to be told 5 DAYS LATER that it was “unavailable”. They tried to upsell me a couple hundred dollars to another diamond and suddenly all listed diamonds on the site were $1000 more expensive than what I had agreed to purchase. The day after I cancelled the order the “unavailable” diamond was magically available again. LOL, THIS AN EXTORTION SCAM!!! I was originally slightly hesitant about buying a diamond ring online however I took my time reading reviews and called in a few times to ask the important questions. Every interaction I had with a representative was positive. They took the time to answer my questions and guide me through my purchase. The website was user-friendly and I received my tracking information quickly after the sale. The ring arrived as described and I’m very satisfied with my purchase.